The quintessential summer drink, simple in statement, easy to make, and so refreshing when made right. My perfect G&T recipe includes Hendricks Gin and Fever Tree tonic. 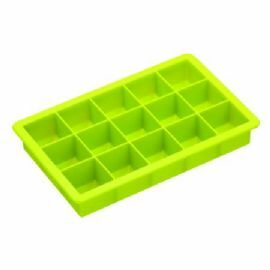 Although I have an automatic ice machine on my refridgerator I opt for larger ice cubes with trays from Colourworks. These silicone trays make large square cubes that are easy to deploy into your glass. Fever Tree Tonic, although dear at $1.50 for a 200ml bottle, is the perfect tonic compared to supermarket brands. Fever Tree is made from organic botanicals and cane sugar. Gin is a personal choice with my favourites being Hendricks, Old Raj, and Sipsmith. For summer garden drinking I like to garnish my G&T with both a lime wedge and a spear of cucumber. Stay cool as a cucumber this summer and enjoy the spoils of war and maleria with a G&T.